You’ve just started a new home business, and your brain is so full you can barely sleep. All you want to do is tell people about your awesome company and how their products have literally changed your life. They’re so freaking amazing that you can’t wait to share them, because you know so many people who you could help. You’re doing everything your sponsor says to do. You’ve watched all those training videos, and you’re holding weekly promotions on your Facebook page (Friday promo! Valentine’s Day promo! Full Moon promo!). Buuuuuuut… you’re not getting as many likes and comments and emojis as you used to. Fact is, people like your products but they’re not lining up to join your team. 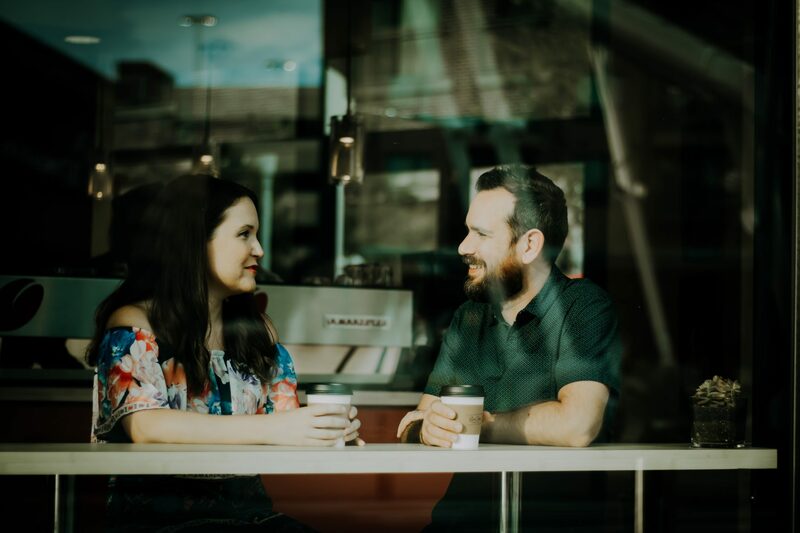 You’ve been on a thousand coffee dates, you’ve shown your business presentation to dozens of people… and frankly, those no’s are starting to sting. You wait anxiously for your commission check, but lately it isn’t even covering your expenses. You’re losing money, you’re losing friends, and you feel like maybe you’re not cut out for this. If this sounds like you, it isn’t your fault. You’ve just been taught to show your business presentation to everyone, instead of focusing on the people who might actually want to work with you. Most people just aren’t looking to start a home business—it isn’t even on their radar. They’re too busy trying to keep their job, pay their rent, or raise their kids. It’s basically your job to show them that there is another way, right? But how do you find out if someone you know might be interested in taking a look at your business—without feeling like pushy salesperson? You could invite them for “a coffee” and spring your presentation on them (doesn’t everyone like surprises?). You could send them a bunch of videos to watch about your company (and hope they’ll actually watch them without getting distracted by cat videos). You could invite them to a webinar, a home party, or a hotel meeting with a bunch of strangers (with fingers crossed that they actually show up). All of these inviting techniques work, but it takes years of practice to get good at it. You don’t have years. You want to start growing your business NOW. So, how do you take someone from ignorance to enthusiasm about your home business? What if you could help them get really clear on their goals, timing, and circumstances? What if you could show them how to objectively assess a company and product? 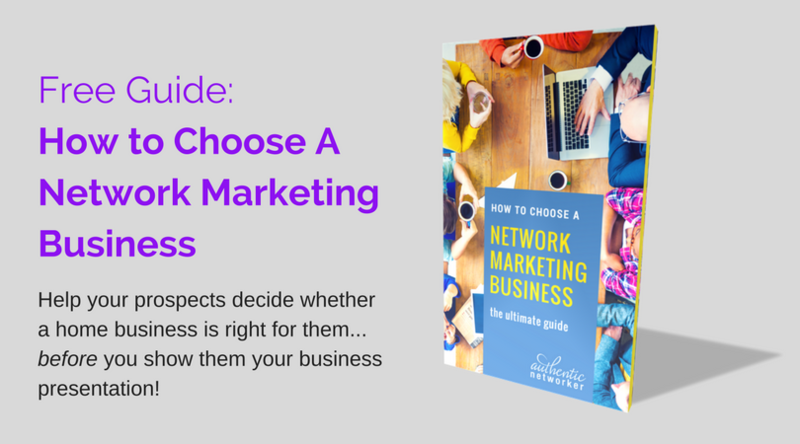 What if you could help them decide, once and for all, whether starting a home business is right for them? We have just the thing for you. Our free e-book gives you the exact questions to ask to find out whether your prospect’s interests, circumstances, and knowledge lines up with your business. Without springing your business opportunity on them. Without trying to sell them your products. Without even mentioning your company’s name. We’ve filled over two dozen pages with powerful questions and insights. They’re designed to help you guide your prospect to get clear on whether network marketing is a fit for them. And you’ll do it in a way that honours your relationship and builds trust. All you need to do is sit down with your prospect and walk them through the guide, page by page. Once you’ve had this conversation, you’ll understand their exact goals, circumstances, and timing. Once you’ve had this conversation, they’ll appreciate your willingness to share your advice and expertise about your industry. Once you’ve had this conversation, your prospect will be clear on whether a home business is a fit for them. And they’ll most likely ask to see your business presentation. They say the most powerful conversations are about things that matter, between people who care. So download our free e-book today and start growing your business with your own powerful conversations. Are you making this basic relationship mistake?